A fun introduction to programming! By completing the levels, you progressively learn the basics of coding! 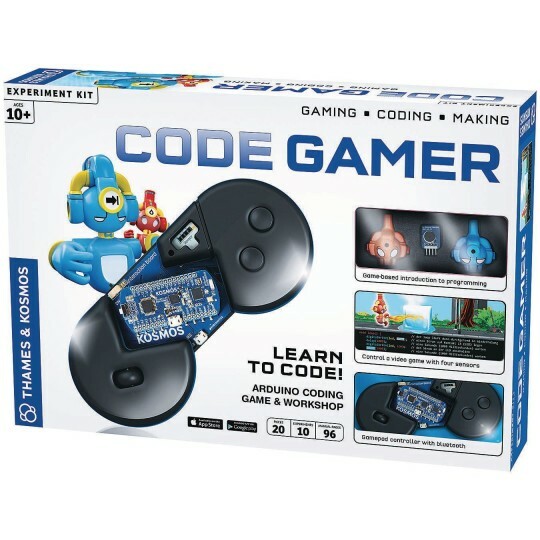 This kit introduces you to programming in a fun, step-by-step way. An Arduino-compatible gamepad connects wirelessly to your tablet. 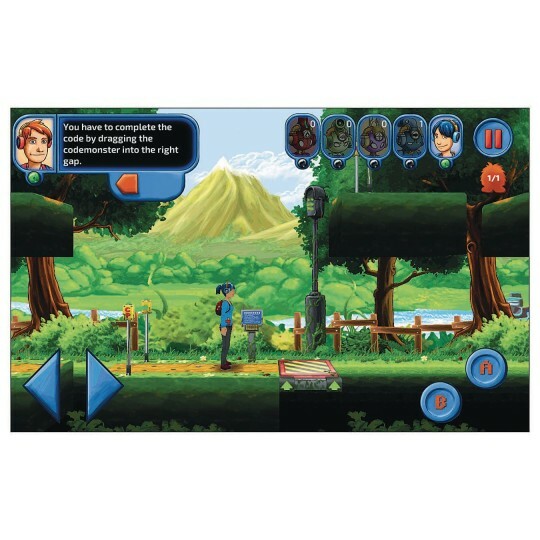 Using the gamepad and four interchangeable sensor modules, you play through a video game app on your tablet. In each level of the game, you have to learn a piece of the Arduino programming language and how to use it in order to solve puzzles and challenges and move forward in the game. In this way, you progressively learn the basics of coding. Soon you will be able to write programs on your computer using the four sensors and invent new applications. Following instructions in the 64-page, full-color experiment manual, you can create cool projects such as a light-sensitive drawer alarm and a LED disco light that reacts to the movements of your fingers. Learn to code by playing a video game. Gaming: Use sensors to control the game with this innovative gamepad. 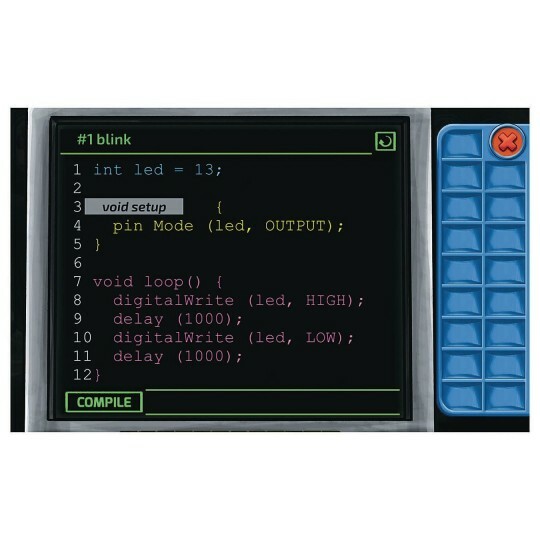 Coding: Solve puzzles and challenges in the game to learn the Arduino programming language. Making: Write your own programs and develop new applications for the sensors.